You have a story to tell. Your story is a combination of your knowledge, experience, and the different milestones or life circumstances you have gone through. These things together provide you with ideas, thoughts, and viewpoints about life and particular topics (like leadership). As a leader, no matter your profession, your story offers valuable perspectives about life and leadership. Even though there have been thousands of leadership books written, if you write a book it will be one of a kind because of your unique story. You would be able to share your story and in the process help others. Writing and re-writing a book can greatly improve your communication skills. It can teach you how to use the best words and sentences to describe your story. You will be able to effectively communicate what you want to share and your perspectives, both verbally and in your writing. Personally, I’ve seen my own communication and writing skills become better since starting a blog and after writing several books. My competence level in those areas has greatly helped me in my leadership position. Author John Maxwell said, “The bookends of success are starting and finishing. Decisions help us start; discipline helps us finish.” It takes a large amount of discipline to write, edit, and publish a book. There are a lot of people who have started to write a book but never finish due to not being disciplined. When you write a book your level of discipline grows substantially. Discipline is like a muscle that can become stronger if used, and it can also become weaker if not used. The discipline of writing a book strengths your discipline bone and can help you to be disciplined in others areas of your life. Just watch how much easier being disciplined in other critical areas when you are disciplined in writing and finishing a book. When you write a book you can positively influence and leave a lasting impact on others. Your words can impact others long after you are gone since a book can live on from generation to generation. Think about the people now and in the future who would benefit from your unique story and viewpoints. The potential is unlimited. Your perspective and thoughts on leadership or a particular topic can help many people. Questions: Have you started or thought about writing a book? What other benefits do you think you would receive if you wrote a book? I started writing because i wanted to be able to help people outside of my hometown. Writing a book seemed like the best way to do that! It definitely helped me with discipline and also with persevering at hard things. So I guess I probably learned the same lessons you learned. A book has the potential to touch so many lives across the world. It can do more than what we can individually do. Keep writing great books! Dan, I appreciate your encouragement to people to write a book. As Barb mentions as well, it isn’t easy and takes perseverance and discipline. I also wrote my book, Leading Jesus’ Way to help expand the message of servant leadership as far and wide as possible. Thanks for all you do in helping to advance positive principles of leadership! I’m glad you enjoyed the post Mark. That’s a great message to share! I’m sure your book has and will impact a lot of people. 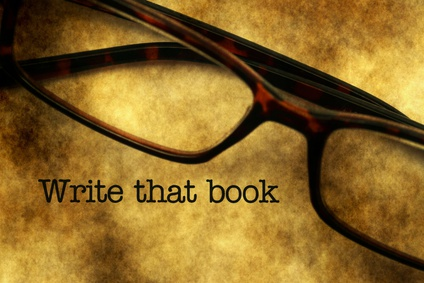 Are you planning to write another book? Excellent approach and advice Dan! One of the most important st of skills a leader should have is the flawless communication skills (oral, written, non verbal, etc.). It is important to know how to express clear his/her thoughts, as important as it is to listen carefully. A book is certainly an excellent place to start practicing! Good job, Dan! I totally agree with you about communication skills. It sure is, it can really sharpen them. Thank you for reading and adding to the topic. You are welcome, Dan. Thank you for sharing! I wrote a book (On Track – Life Lessons from the Track and Field) a couple years ago. It’s time to move forward with my second book. It’s a great book! Yes, you should start writing your next book. Do you know what it will be about or the topic of the book? Can’t wait to read it. Thanks, Dan. Actually, I’m considering two paths right now: (1) STRETCH – a book about creating habits that will STRETCH you further, (2) A book (partially memoir) about my missions experiences in Guatemala. Very convincing reasons, Dan! I love all of them, they have been true for me. # 1 particularly stands out: our words in a book travel to places we will never travel in person. I think that is one of my big motivators, even with my blog. How God will take our words and disperse them to far places, sometimes places we’ll never know about. Its amazing. And all it takes is a little discipline and a whole lot of obedience to doing the God-thing! A book and blog can touch many lives. You said it very well! Thank you for sharing your insights and wisdom with us. 5. Legacy. Leaving a trail of accomplishment that family, friends, and that you can be proud of. Great addition Juan! Thank you for sharing your wisdom.